You are currently browsing the archives for the SMO category. Virtual Reality and 3D platforms not just a child’s game. “Second Life: The Dream Platform for PR Professionals,” was the last session I took while attending PRSA International 2008, but it was one of the most effective. Why you may ask? Because Second Life isn’t just about creating an avitar and playing in a virtual world it is about jumping on board to the future of interaction. What do these statistics say to us? They say that there is an untapped market that is not declining, but growing rapidly. 35 is the median age of the user, there are 14 million users in over100 countries, and $1.5 million dollars are made each day. This tells us that Second Life is not going anywhere but up. Vitrual worlds are now not only for children they are for adults. New influencers are creating new sources of media, who are these new influencers? You, me and even Joe the plumber. How is this possible? We are now publishers we are able to report, comment and even create news content, we have the news and the media is now coming to us. 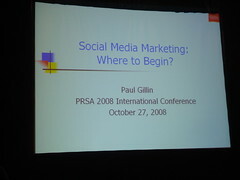 Paul Gillin, author of The New Influencers, states that there are Ten Secrets to Success of Social Media. But to understand these we must first realize that traditional media is declining and that search is the new circulation. Once we understand this we as PR professionals will be able to understand how each person is an influencer of media marketing and will become more successful in our marketing and media strategies. Secret # 1- Don’t Fear Negativity. We must learn to accept that we cannot control what people say, but that we can contain negativity to a certain degree. There are always going to people that may disagree with what you say or what you do, but the trick is to realize it and accept it. If you make a mistake fess up to it. After all if you don’t and it is proven that you were in the wrong you are just adding fuel to the fire. Dr.Pepper and Guns N’ Roses, two things that couldn’t be further from each other – yet Ketchum – has found a way to connect these. On behalf of Dr. Pepper, Ketchum launched a promotion, if Guns N’ Roses finally released their album Chinese Democracy, then Dr. Pepper would give everyone in the United States a free Dr. Pepper. Guess what? Next month, Guns N’ Roses is releasing their much anticipated album. So what does this have to do with PR and Media Relations? Joanne Puckett, Vice President of Global Research for Ketchum and presenter of “Deriving ROI for Interactive Communications,” believes it relates due to the platform on which the promotion was sent. Ketchum realized that mass media is slowly declining, and that to create buzz around their client there needed to be an embrace of a new platform of communication enter Social Media. By using social media to connect with an audience that may have never drank Dr. Pepper, Ketchum did something amazing. They connected two brands that probably would have never joined together, but by doing this they connected to a wider audience. This is proof that those who use social media are not just generation Y, but also generation X, baby boomers and everyone else in between. 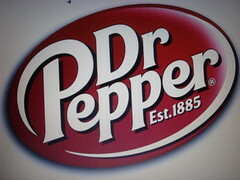 Dr. Peppers awareness has increased and they are now seeing an increase of 15% on their ROI. Ketchum embraced social media to derive a greater ROI for Dr. Pepper. Todd begins by Introducing to YouTube, and online video media. The VNR is dead, he declares. He’s right, of course (VNRs as a tactic had been on life support anyway), but where’s the news here? New media are certainly exciting, but I think we need to transcend this “aw shucks” paradigm when it comes to new technology. It exists. It’s awesome. But our industry doesn’t have time to gawk at the spectacle. That’s not a knock on Todd, who does a good job keeping us up to date, but a general industry observation. Stepping in for Jim Sinkinson, Ms. Shapiro declared earned, unpaid media to be up for grabs. Public Relations managers are being retitled Chief Conversation Officers, she informs us. That is just the sort of thing that social networkers love to make fun of. She declares that this is a brand new direction for PR. Is this true? Does a change of tactics (wholesale thought they may be) constitute a new direction? Are the fundamentals changing? I’m not sure that’s a settled question. It used to be that success in American politics consisted of a series of turning points. The Lincoln-Douglas debates, Fireside chats, and the “Checkers” speech all consisted of a politician seizing a moment to elevate his cause. Nobody saw them coming, and nothing was the same after. Today, if a prominent politician schedules a major event, news venues will analyze the speech from every angle before it has been drafted. Social networking sites will come to a consensus about what he or she should say, and the politician will speak against the backdrop of a plethora of expectations, against which even the most successful speech has the potential to fail. Many will watch the speech on YouTube days later, reading and contributing comments as they watch. As a fairly new person on the M&O team, I’ve had the advantage of learning from some of the best in the business. The learning curve I’m quickly working to overcome is how best to navigate the constantly changing digital marketspace to reach our target audience online. I recently attended a Minnesota Interactive Marketing Association (MIMA) Event ‘Conversations about the Future of Advertising”, which really got me thinking about how to embrace the shift to digital communications and online marketing. Offering up some valuable insight to help marketers determine how best to navigate the digital marketspace, we can find new ways to expand our connections and reach our target audience online. Live the Life. Only through trial and error with various digital communication channels such as Google, YouTube, Face Book, Digg, etc. can you define what approaches work and what approaches don’t. A marketer that understands how to interact with others in social communities online is more likely to understand the preferred language and tone used among community members. Steve Rubel recently made reference to a ranking of PR blogs in the form of a Social Media Index. The actual listing and ordering of blogs according to various criteria was posted at Edelman’s Europe CEO blog, SixtySecondView. Our SEO firm’s blog, Online Marketing Blog was included in each permutation of the list using a wide variety of criteria. I have yet to see so many different criteria used in any other ranking of marketing or PR blogs. That includes the AdAge Power 150 and Onalytica’s ranking of the most influential blogs, both of which include TopRank’s Online Marketing Blog. Such lists always attract a bit of scrutiny and criticism, as they should. It keeps them honest or outs them as otherwise. 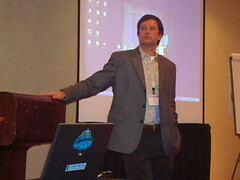 Today starts the 2007 Media Relations Summit in Washington D.C. and it should be a great event. Bulldog Reporter’s Media Relations Summit is the largest media relations event in the world and Mike Yanke from our public relations firm is there today attending sessions and doing some inaugural blogging. I will be flying in tonight and will be speaking on Monday afternoon in a session about integrating search engine optimization and social media to extend public relations efforts. My co-panelists will be Jamie O’Donnell from SEO PR and Sally Falkow from Expansion Plus. SEO and social media in the context of online PR is hot right now and I expect the session to be well attended. I’ve written an outline of what I’ll be presenting on over at Online Marketing Blog in a post called, “Leveraging Social Media and SEO for Public Relations“.